You won't find poor quality springs or lumpy foam in a Wonderbed. Wonderbed is carefully engineered with multiple layers of premium quality material. Our foam technology contours towards your body shape, pushing back for the right amount of support based on your body weight & pressure points. An average person changes sleeping positions over 10 times per night, creating much discomfort for partners. 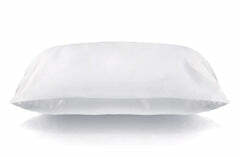 Conventional spring, latex or memory foam mattress do not absorb vibration & movement waves well. Our µ(micro) Vibration Technology™ significantly reduces partner sleep disruptions for deeper enhanced sleep. Wake up refreshed & ready to conquer the day! Tropical weather means more heat & more humidity. Combining world-first materials & advanced sleep technology specifically for Singapore's weather conditions, Wonderbed sleeps cool. Now you don't have to keep the air-con turned on for the whole night. We’re so confident you’ll love your Wonderbed mattress that if you’re not getting the best sleep of your life in the first 100 nights we’ll pick it up and give your money back. Conveniently packed and delivered in a solid durable box. We offer free express same day delivery Singapore-wide. We donate a Wonderbed to a designated Singaporean homeless charity for every ten mattresses sold. Come take a look how your support is changing the community! We invite you to try Wonderbed for 100 days and let your body decide. Our rules are simple. If You don't like it. We Refund It!